Check out the tale of the tape of Prince Albert Pagara of the Philippines vs Yesner Talavera of Nicaragua. This fight will be held at Cebu City Waterfront Hotel & Casino, Barangay Lahug, Cebu City, Cebu on February 27, 2016. 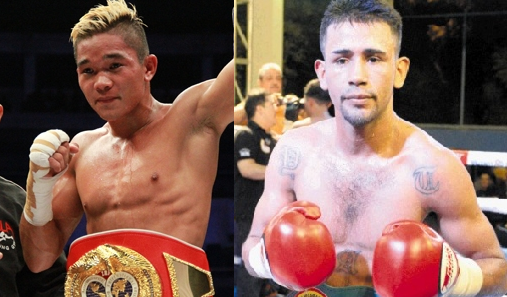 This fight is for the WBO Inter-Continental super bantamweight title. Pagara vs Talavera is part of the Pinoy Pride 35. You can watch the fight on ABS-CBN Channel 2 on February 28, 2016 at 10:15 am and on ABS-CBN Sports and Action channel 23 at 9PM.